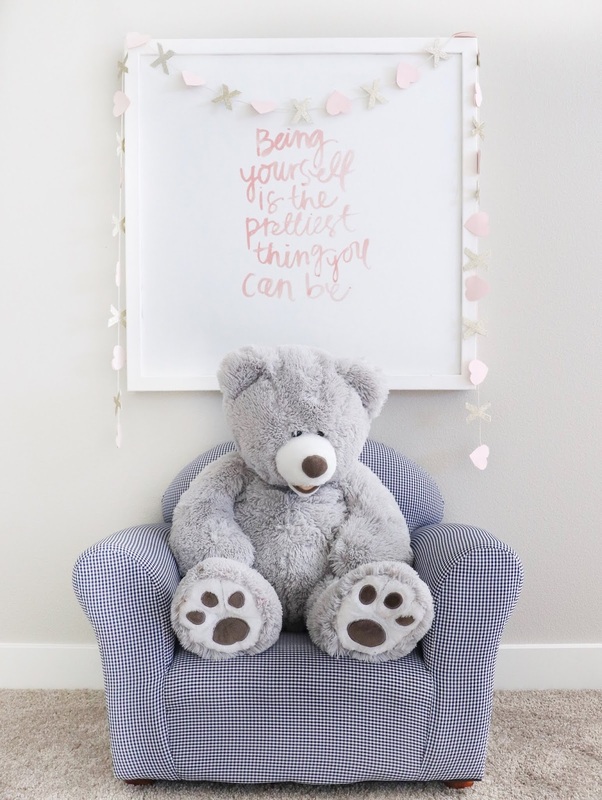 After my friend Melissa gave me the challenge to make a DIY Valentine’s Day décor under $10, I had a ton of fun coming up with this heart and X garland for Abby’s reading nook. 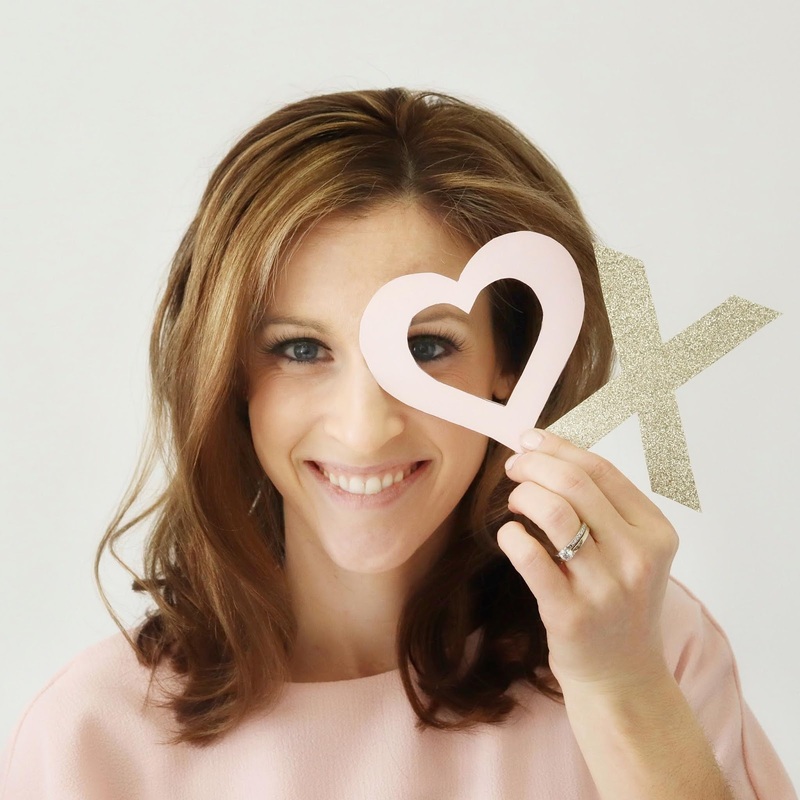 Although XO’s is a typical Valentine’s Day statement, here in our home we call it, Happy Heart Day. Hence the heart and X instead. I also decided to make two versions. Larger sized for our living area, and a small version (shown above) to hang around my all time favorite quote as a girl mom. I found this graphic print in the 70% off bin during my last month of pregnancy with Abby and immediately fell in love. 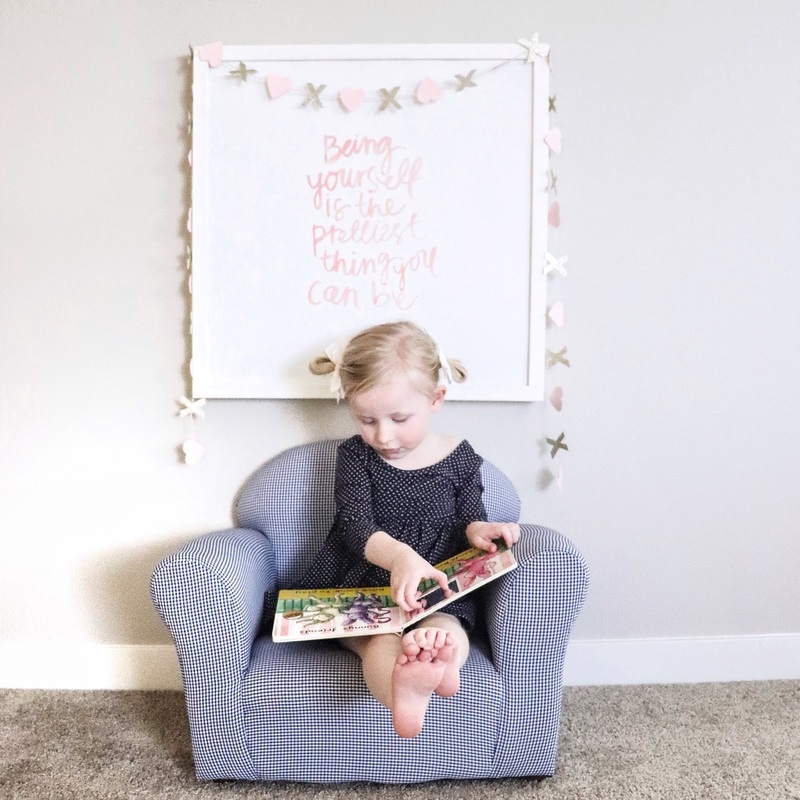 That quote has become something I intentionally strive to model in myself daily so that Abby will grow up with this idea and confidence within herself. Adding a little love around the graphic print helps it come to life that much more for me. This is my first handmade garland and I’m sure there are tons of ways to make them! I’m just happy to share what I did and the two versions I made. Both large and small. 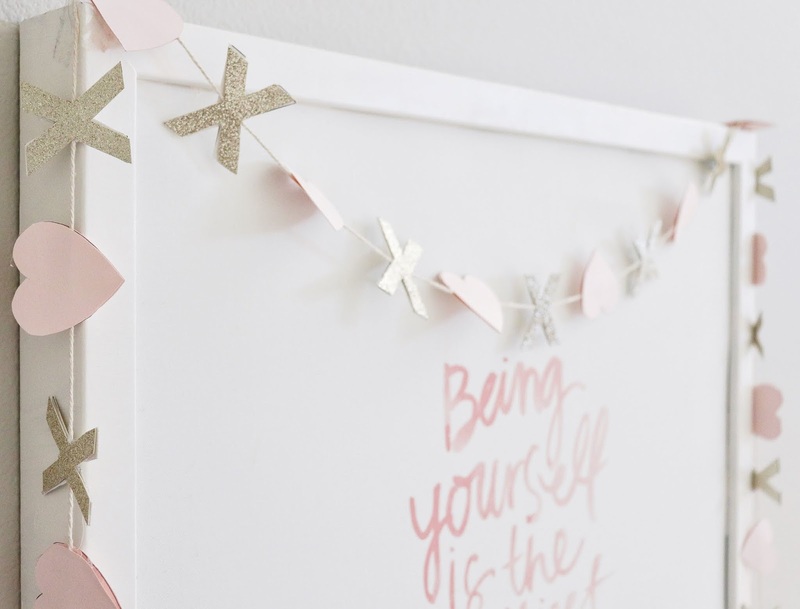 If you’re interested in making either sized garland, you can subscribe to my email list (located on the bottom right hand side of the side bar) and be automatically sent the cutout images for both. I know! Something new and fun from me to you! Here are the 3 Steps I did to make them. Print out the heart and X shapes, then trace however many of each you need. Last, I laid string out flat and glue gunned about every 2 inches apart the X, then heart. 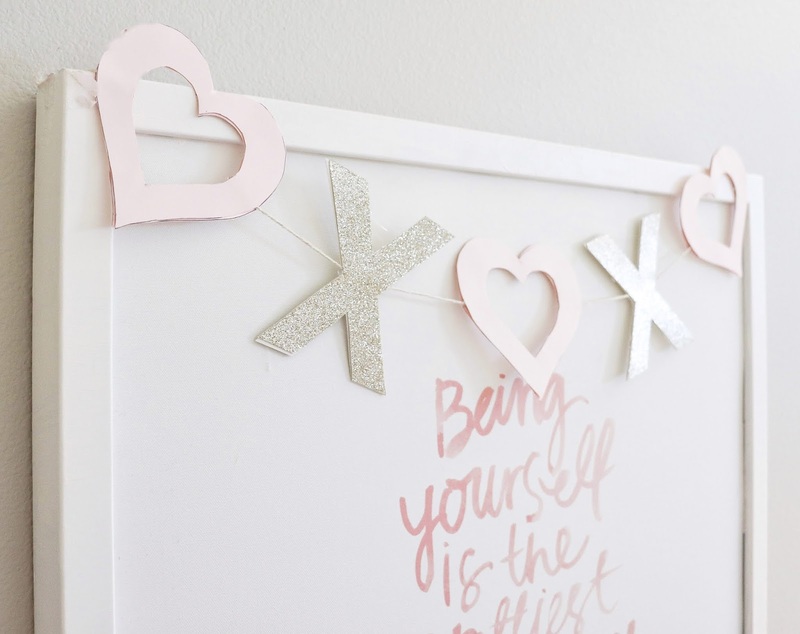 I have lots of fun things headed your way the next couple of weeks to help make Valentines Day special, yet simple. 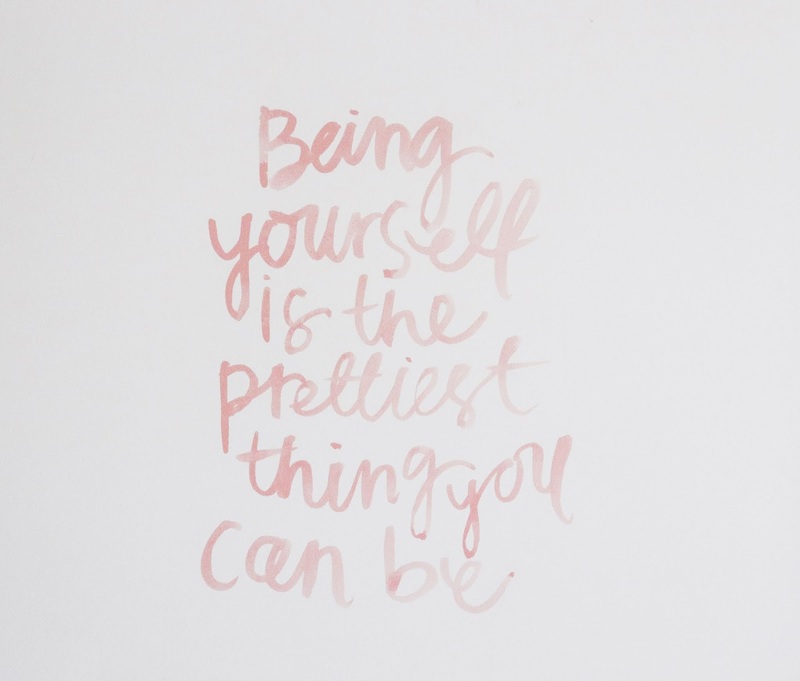 A motto Mama Jots blog (ok me!) is proud of.